Born in Spain in 1963, Benjamin was attracted to art at a very early age. After initiating his first art exhibitions as a youngster in his hometown San Sebastian, he discovered the amazing world of sand sculpting at the age of 25. From that moment on he was, and still is, a sand sculptor of great importance. 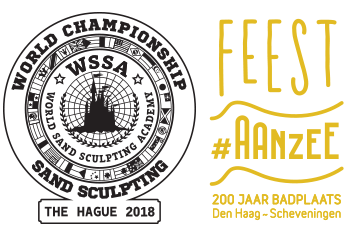 After Benjamin became second in his first international competition in 1997 on the Canary Islands, he started in 1998 participating in art exhibitions and events all around the world, making sand sculptures in countries such as the United States, Mexico, Qatar, Indonesia, Colombia and many others. Apart from working with sand and being a sand sculptor, he also masters other materials like clay and is well-known for his expertise in making minitature models and macro photography.